The CAA has kicked off its 2019 Worst Roads campaign, asking motorists, cyclists and pedestrians across Ontario to vote on their most-despised roads. When the Canadian Automobile Association released its 2018 list of the worst roads in southwestern Ontario, Tecumseh Road East cracked the top five. But after driving on a portion of the road this week, the CAA isn't expecting it to make this year's list. "It looks like it's freshly repaved. It's very smooth. We haven't encountered any bumps," said spokesperson Raymond Chan. 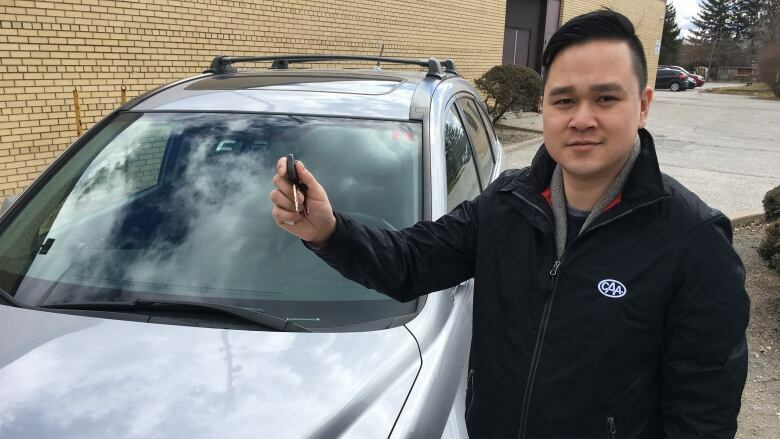 The CAA has kicked off its 2019 Worst Roads campaign, asking motorists, cyclists and pedestrians across Ontario to vote on their most-despised roads — for reasons such as having too many potholes, frequent traffic congestion or a lack of walking infrastructure. Chan said the campaign serves to address the concerns of both CAA members and non-members who ask, "Where do I go to talk about some of these problems that exist?" "It's really to provide everyone with a voice so that we can provide them with a forum to have their say so they can provide us feedback. And then, in turn, we take that over to government and we figure how we can allocate more funding toward road improvements," said Chan. According to Chan, the best part about the CAA's Worst Roads campaign is being able to see the "before and after" of roads which made the list. "Exactly what has been done and how the street has really transformed and how that hard work and how that money involved into getting that street into the way that it is now really comes to fruition," said Chan. One of those examples is Highway 401 in Chatham-Kent, which was voted as the No. 1 worst road in southwestern Ontario for 2018. Chan said the "surrounding community raised the bar" in making the provincial government aware of fatal incidents in the area. "I understand some work has already been done and is currently underway and more is to come," Chan said about the highway. During his drive through downtown Windsor, Chan said he noticed new bus lanes and sidewalk improvements on Ouellette Avenue. Chan said since the launch of the Worst Roads campaign, municipal leaders across the province have been reaching out to the CAA, wanting to ensure roads which appeared on its list in the past doesn't show up in the future. One example he pointed to was Burlington Street East in Toronto, which was voted as the worst road in Ontario for both 2017 and 2018. "It's had $3.3 million worth of road improvements ... Certainly, we're seeing successes but there's a lot more work to be done," said Chan. Voting will remain open for the 2019 Worst Roads campaign until April 26.